If you're 15 years old and looking for summer jobs, your options for work might be limited, but that doesn't mean it will be impossible to find employment. In fact, here are six summer job ideas for you to pursue. Keep in mind, though, that jobs and pay vary based on your location and the difficulty and time it takes to complete each job. 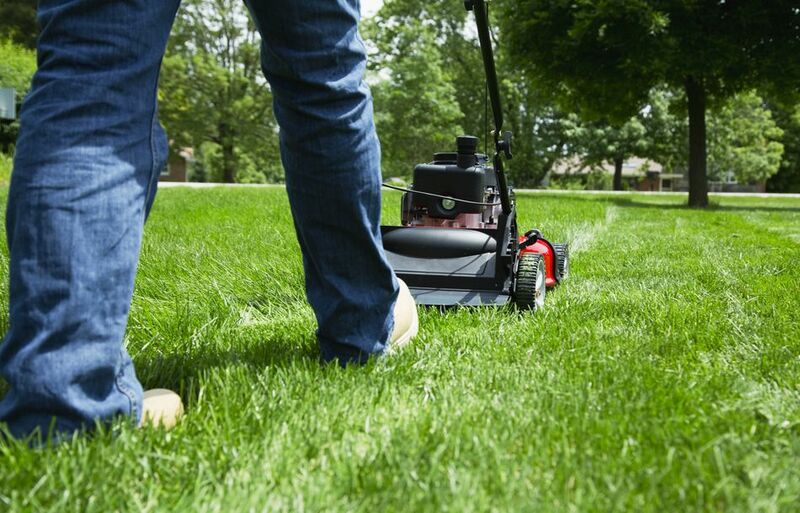 If you like to be outdoors and regularly mow your family's lawn, then lawn mowing is a great job to explore. You can contact neighbors or put up ads to promote your lawn mowing services. But be sure to determine if you will be using your mower or the homeowner's mower. Also, be aware that federal and state law ​prohibits teens from operating power-driven machines and dangerous tools. Contact the department of labor in your state (or have your parents do so) to find out if mowing lawns is permitted for you. You should also take precautions before doing business with strangers. Talk to your parents about the risks of mowing lawns for neighbors you don't know well--or at all. If you like to swim, lifeguarding can be a great summer job. You'll get to spend time outdoors at the beach or the pool. Fifteen is the minimum age to be a lifeguard in many areas. But just because you can become a lifeguard at a young age doesn't mean it's a position for the immature. Due to the serious nature of this job, it's important that lifeguarding is a job to which you're devoted. You'll need some training and certifications as well. Babysitting is a popular summer job to explore when school is out for kids your age or even younger. The Red Cross offers babysitters classes to prepare 11 to 15-year-olds for babysitting. These classes can help you react if an emergency occurs while you're babysitting. While these classes aren't necessary to become a babysitter, they can help you stand out from the competition. Dogs need to get out for exercise all year long, but in the summertime, you will have extra time to walk them, and many working dog parents may be willing to pay for your services. Just make sure that you feel comfortable with the pet before you take it for a walk for the first time. And if you plan to walk more than one dog at a time, make sure they're comfortable with each other and that you're strong enough to handle multiple dogs at once. As with the lawn mowing scenario above, you'll need to take precautions if you're going to walk dogs of people you don't know well. Depending on the state labor laws in your area, you may be able to get legally hired by a restaurant. Common jobs at this age in restaurants include working in fast food, busing tables and hosting. Be sure to find out which hours the restaurant would like you to work, as state and federal laws have limits for the hours young teens can work, even during the summer. If you like to golf, then a summer job working maintenance at the golf course could be the perfect summer job. Teens should seek out jobs at places where they like to spend time. This will help you find a summer job you'll love.